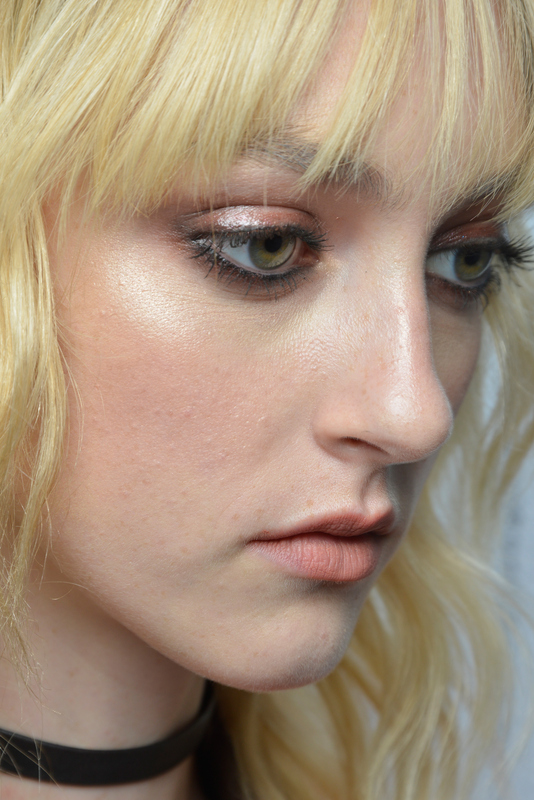 Adding shimmer and "glow" to your T-zone sounds like a nightmare for those of us with oily skin. But no matter what you've heard, you can wear anything if you know how to apply it. Here are the best highlighters for oily skin, so you can rock a gorgeous glow, despite your usual oily state. If you have combination to oily skin, the concept of shine is not welcome. You usually stay away from anything described as dewy and luminizing, and highlighters are completely out of the question. Sounds familiar, right? Well, it shouldn't be! Despite what you think you know, you can create a beautiful glow with highlighters without looking greasy. First thing's first: Use a mattifying pore minimizer underneath or mixed in with your foundation. This will create a smooth, matte base. Next, you'll choose a highlighter. For oily skin, I recommend powder highlighters. Not only will it not add more liquid to your skin, but it'll also help soak up excess oil. To avoid getting an overly powdered cake face, apply your powder highlighter with a damp beauty sponge. The moisture from the sponge will help the highlight melt into your skin. Another thing to remember: Avoid highlighting your T-zone. Skip highlighting your nose, your forehead, and under your eyes. Instead, go for the tops of the cheekbones, under the brow bone, and right in the cupid's bow. Finish it all with a matte setting spray, which will help to keep your highlight and the rest of your makeup from slipping off your face. Now that you know what to do, here are the seven highlighters I highly recommend for those of you with oily skin. This is a great, matte highlighter that is a perfect shade for lighter skin tones. Who knew highlighters came in mattes? If you're looking for more glow than sparkle, this will give you a "shine from within" instead of a glittery look. I know I said powder highlighters are better, but don't let that stop you from using a cream. Just remember that when applying highlighter creams, accent the apples of your cheeks before applying a setting powder. Also, consider using a damp beauty sponge and blend, blend, blend. Stay away from anything with chunks of glitter, which may not blend into the skin naturally and look like a film of grease. Avoid highlighting areas that are overly textured or where you're pores are at their largest, because highlighting will only draw attention to it. This is a super natural brightener, so you can mix it with concealer and apply it under your eyes. This is another exception to the powder rule! When in doubt, you can always apply a concealer shade lighter than your skin for a bright look that is completely shine-free.